Even after it's nearly two decades old expiration, I'm still excavating artifacts from the '90s, and some pretty damn enticing ones at that. 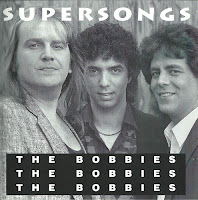 Veritable unknowns from Queens, NY, The Bobbies would have slotted comfortably into the more amped-out environs of the era's power pop revival. Their apparent DIY angle put them slightly left of center, often sounding like an amalgam of Cheap Trick, Enuff Z' Nuff, and a smidge of '90s Buzzcocks to boot, especially on saucy, aggressive pieces like "Money Makes Honey" and "Afraid to Fall." Further in, the going gets a little Beatles-esque on "What Else is There to Say" and "Please Pleasing Lady." 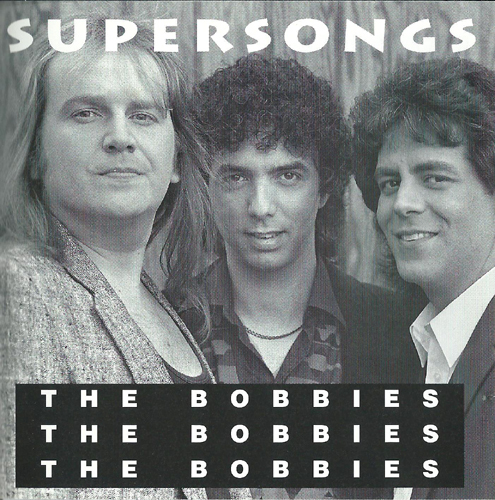 So, in the net-net of things does Supersongs live up to it's not-so-humble title? If you gravitate to any of the aforementioned (and for that matter Material Issue) dig in and see for yourself. A further critique of the album can be had here. HOLA LO PODRIAS RE SUBIR? MUCHAS GRACIAS!! !